27 Marlborough is located on the north side of Marlborough, between Arlington and Berkeley, with 25 Marlborough to the east and 29 Marlborough to the west. 27 Marlborough was built ca. 1866 for Charles William Freeland, for speculative sale, one of four contiguous houses (21-23-25-27 Marlborough). The four houses form two pairs of mirror opposite buildings (21-23 Marlborough and 25-27 Marlborough); each pair has a single entrance porch which creates a symmetrical entryway. Click here for an index to the deeds for 27 Marlborough. On December 4, 1867, 27 Marlborough was purchased from Charles Freeland by Mary Augusta (Bartlett) Richardson, the wife of Frederic Lord Richardson. The previously had llved at 31 Pemberton Square. 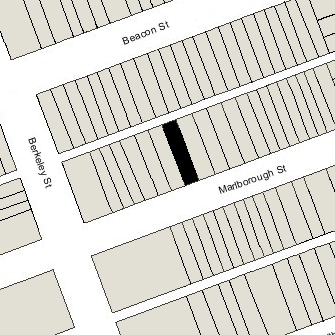 Mary Richardson’s father and step-mother, Homer and Louisa (Fowler) Bartlett, lived next door at 25 Marlborough. Frederic Richardson was treasurer of the Hill Manufacturing Company, operators of a textile mill in Lewiston, Maine. His father-in-law was president of the company. After the death of Louisa (Fowler) Bartlett in May of 1873, Homer Bartlett moved to 27 Marlborough to live with the Richardsons. He died in March of 1874. Mary Richardson died in January of 1880, and Frederic Richardson died in January of 1898. After Frederic Richardson’s death, 27 Marlborough became the home of the Richardsons’ son, Homer Bartlett Richardson, who succeeded his father as treasurer of the Hill Manufacturing Company. Homer Richardson married in April of 1902 to Mrs. Mary King (Upham) Clark, the former wife of Farley Clark. After their marriage, they lived at 27 Marlborough and also maintained a home in Dedham. Mary Richardson’s daughters by her first marriage, Anita and Frances Clark, lived with them. Anita Clark married in October of 1910 to John V. Woodward and they moved elsewhere. Homer Richardson died in April of 1921. Mary Richardson and her daughter, Frances Clark. continued to live at 27 Marlborough in 1922. On June 22, 1922, 27 Marlborough was purchased from the estate of Homer B. Richardson by Henry Wheeler, Francis J. Moors, and Romney Spring, trustees on behalf of the Society of King’s Chapel and the Proprietors of Pews in King’s Chapel. 27 Marlborough became King’s Chapel House. On May 20, 1923, the Boston Globe reported that, the previous day, the church had dedicated “the little chapel” that had been “constructed at the rear of the first floor” of the house. King’s Chapel House remained at 27 Marlborough until about 1953. 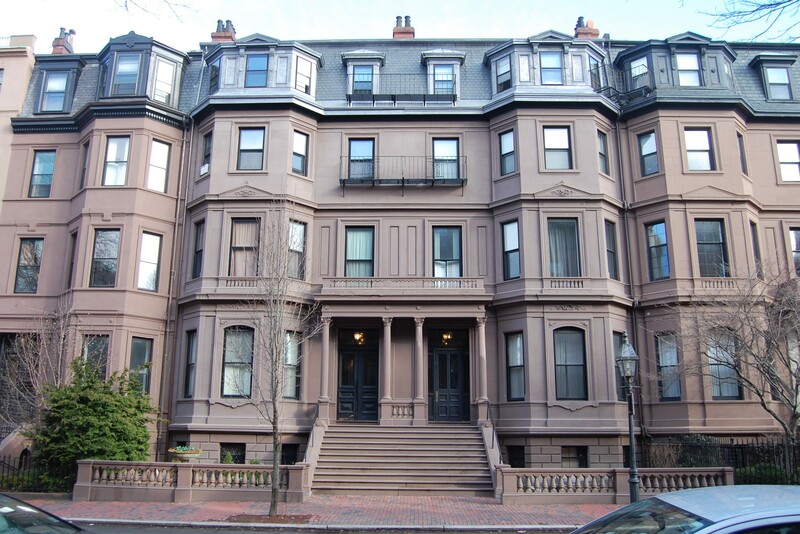 On January 11, 1954, 27 Marlborough was purchased from Alexander Wheeler and Robert P. Bradford, successor trustees for the benefit of King’s Chapel House, by the Boston Council of the Boy Scouts of America. The Boy Scouts maintained their offices there until about 1964. On February 14, 1966, 27 Marlborough was purchased from the Boy Scouts by Walter H. Fehrmann and his wife, Virginia (Riselli) Fehrmann. They lived in Watertown and later in Belmont. They also owned 25 Marlborough. 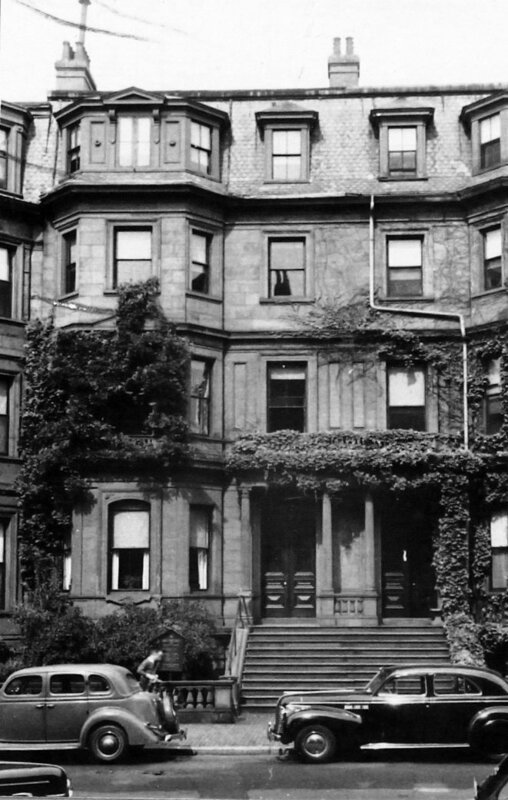 In August of 1965, prior to purchasing 27 Marlborough, Walter Fehrmann filed for (and subsequently received) permission to convert the house from offices into nine apartments. 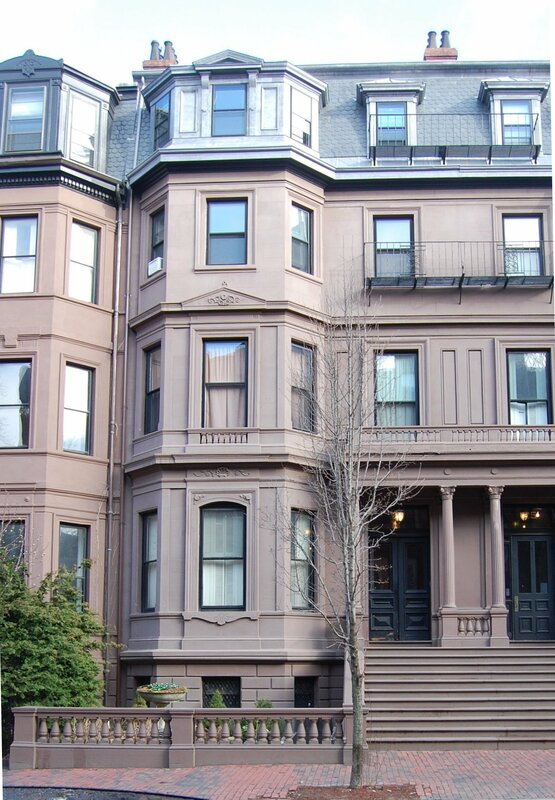 On September 14, 1995, the Fehrmanns transferred 25-27 Marlborough to Virginia Fehrman, as trustee of The Marlborough Street Real Estate Trust. Both 25 Marlborough and 27 Marlborough remained apartment houses in 2015.